Bibb tackles the very topical issue of forced migration on this set, whether it be due to war, poverty or enslavement. His goal is to challenge us to be more tolerant and welcoming, as history always shows us welcoming immigrants is humane and right. Opening cut Refugee Moan is a prayer, and it could be from migrant worker in the depression heading west, or a Syrian refugee arriving in Canada, scarred and scared for the future. We hear about the Great Migration of the early 20th century, when the children and grandchildren of former slaves left the Jim Crow-infested South for work in the northern cities. and soon after, “Prayin’ For Shore” is about the drownings of thousands of refugees trying to reach Europe in recent years. 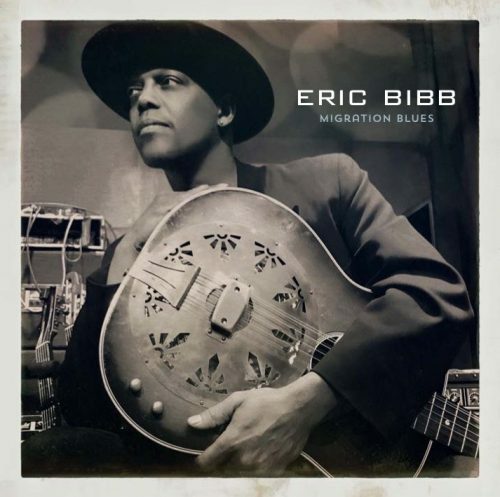 Bibb’s acoustic blues are powerful, dark, and with just the right amount of tension. Like the Delta bluesmen, he’s singing, but there’s a bit of speaking in there as well, which reinforces the story-telling feel. 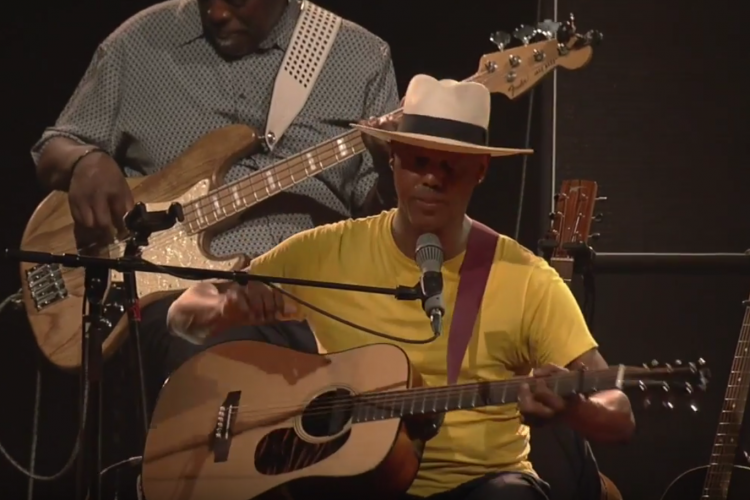 The accompaniment is subtle, mostly Bibb with his two frequent touring collaborators, Canadian Michael Jerome Browne on guitar, mandolin and banjo, and the atmospheric harmonica of France’s J.J. Milteau. 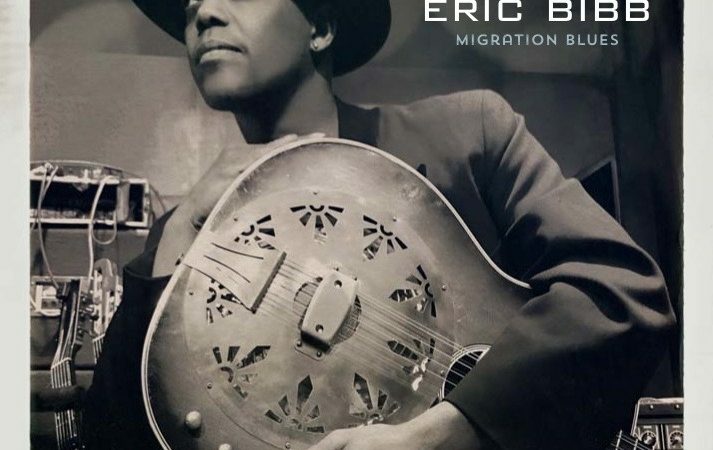 For a final stamp on the theme, Bibb covers Dylan’s “Masters of War,” and Guthrie’s “The Land Is Your Land,” making the strong connection between blues and social justice.